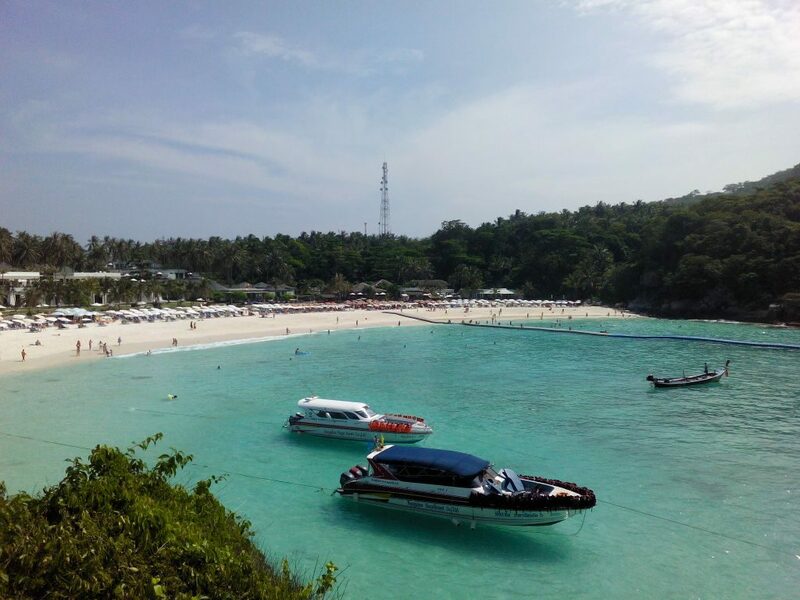 Racha Yai Island is located 13 nautical miles south of Phuket Island and is dived by Phuket day trip dive boats. There is also dive centres on Racha Yai island. Racha is sometimes spelled Raya, or Raja but don’t be confused, they are all the same dive location. Racha Yai is a granite island with beautiful beaches and bays all around and dense tropical jungle covering the interior. There are several dive sites at Racha Yai. Most of those sites are suitable for all levels of diver and Racha Yai is often the location for a trainee’s first open water dive. Koh Racha is also where most Phuket Discover Scuba (Intro) dives are done. Visibility is always good and currents mild. Racha Yai diving is easy and although you probably won’t see anything as big as a manta ray the reefs are very pleasant with lots of schools of fish. Racha Yai is a good place to do a refresher dive if you’ve been out of the water for a while. The best dive sites are along the east coast of Racha Yai where bays known by their number only are joined by long reefs of staghorn coral. The reefs drop down to around 25m before the sand levels off. The three main dive sites here are Lucy’s reef, Staghorn Reef and Home Run. In the sand you can find blue spotted sting rays and garden eels. Over the reef are large schools of yellowtail barracuda plus snapper and fusiliers. Butterflyfish, cornetfish and dog faced pufferfish are numerous as are moray eels. 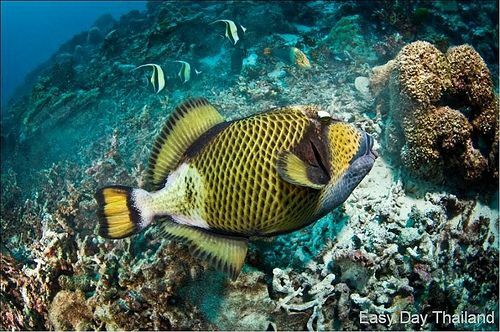 Titan trigger fish are very territorial on Staghorn reef and have been known to charge and bite divers. Turtles are common on Lucy’s reef and divers occasionally see a Leopard shark there too. There is a small wreck on Home Run. The shallow bays can be great places to find interesting marine life. The sandy bottom is scattered with coral bommies covered by seafans, Christmas tree worms and anemones. Anemones are home to clown fish. The bommies hide octopus and moray eels. Cuttlefish can be seen in the sand. Bay number 4 is home to a couple of bent stick pipefish. On the north west side of Racha Yai is Bungalow Bay named after the small bungalows that used to be on the beach but have now been replaced by a luxury resort. There is a hard coral reef either side of the horseshoe shaped bay. Sea cucumbers, blue sea stars and sea urchins litter the sandy bottom. Many species of hard coral are crammed in with the granite rocks from the surface down to around 25m on the outside of the bay. Small bamboo sharks can often be found hiding under rocks. Lion fish and scorpion fish are common. There are a few giant clams and some anemones. There are also a couple of small swim-throughs. A fairly new addition to Racha Yai is a maze of concrete cubes on the edge of bay one on the east coast. 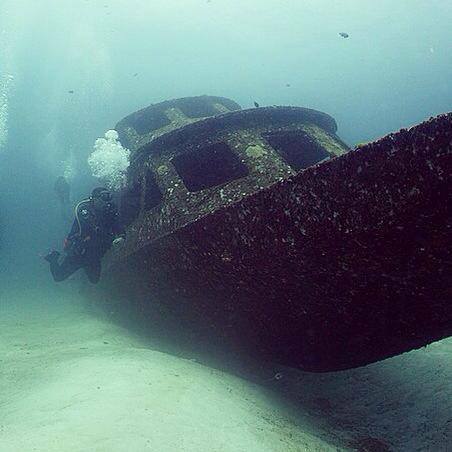 It’s a new artificial reef project which is hoped will generate coral growth. It’s a slow process but some fish are making the cubes their home. 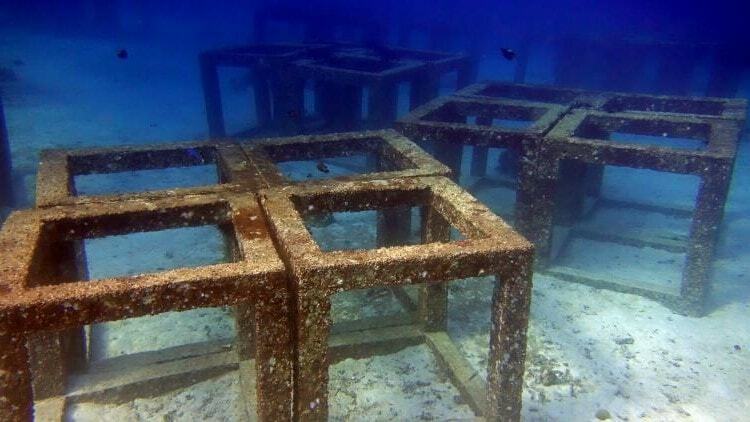 At the moment this area is best for practicing buoyancy control skills, can you swim through the cubes without touching them? They also deter fishermen from dragging nets that will get snagged. Between Racha Yai bay one and bay two you will find the small Harruby Wreck. It sits in 22 metres of water, the top is at about 16 metres. So it’s a suitable dive for open water certified divers but is also a good training site for the basic PADI Wreck diver specialty course. There are places where penetration into the wreck are possible. 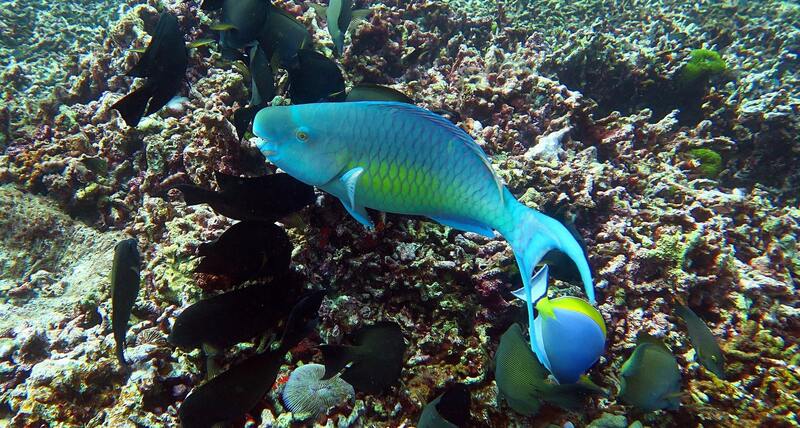 Plenty of marine life has set up home here including batfish, barracuda, scorpionfish, bannerfish and moray eels. Plus critters like nudibranchs and ghost pipefish.